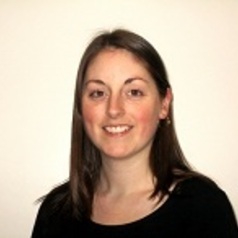 Laura Stanley commenced her doctorate in history at Victoria University, Melbourne, in 2011. Laura graduated from VU with a Bachelor of Laws (with Honours)/Bachelor of Arts in 2006, and returned to VU in 2010 to undertake Honours in history. Laura graduated with First Class Honours and was awarded the University Medal for Academic Excellence (Undergraduate Honours) for her thesis on the Menzies Government’s response to the Cuban Missile Crisis. As an undergraduate, Laura also received the Royal Historical Society of Victoria's Australian History Prize; the History Teachers' Association of Victoria Award; and the Thomson Student Prize (Most outstanding fifth-year student: Bachelor of Laws combined with another degree).